Few things are more refreshing than a cold sweet tea sipped slowly in the sun. The Summer Peach Tea is a delightful and very easy recipe pairs whiskey and sweet peach and it is perfect to mix up all summer long. The recipe was created by Beam, Inc.'s Master Mixologist Bobby Gleason. In it, Gleason mixes the rich, smooth taste of Canadian Club whisky and sweet peaches and refreshing iced tea. 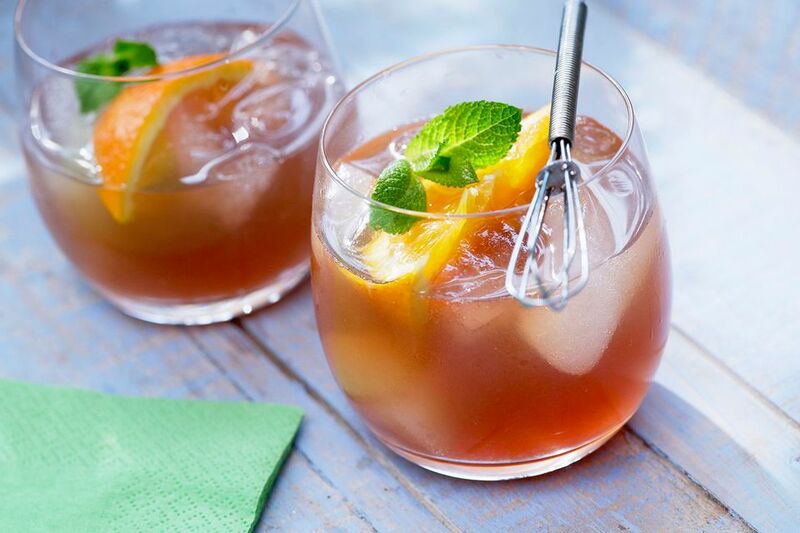 It is a fun and simple take on the popular Sweet Tea. It can easily be increased to make a full pitcher and enjoy all afternoon long with friends on the patio. Canadian Club is known for producing some very smooth blended whiskies. They are some of the best cocktail mixers you will find among the Canadian whisky brands available. This recipe calls for their Classic 12, the flagship of the brand that is made in small batches and has a robust barley taste. It is aged for 12 years in charred oak barrels that once housed bourbon. It brings a great amount of character to this cocktail and plays perfectly against the sweetness of the schnapps. Peachtree is one of the most popular brands of peach schnapps available. It has a very sweet, full-peach flavor that is fantastic for mixing into any peach cocktail. In this recipe, it is used as the sweetener and takes the place of any sugar or syrups that we might typically use in sweet tea. The iced tea can be used to transform this drink into an entirely different experience every time. Begin with your favorite tea blend for iced tea, then play with it to bring in various flavor profiles. Green teas are going to be a good universal place to begin, and herbal teas can be used to add a lighter, floral aspect, and black teas are also a nice pairing with this particular whiskey. How Strong Is the Summer Peach Tea? A smooth, slow sipper, this Summer Peach Tea is a very mild cocktail and that is why it is so perfect for a casual spring and summer afternoon. If the drink were mixed at the proportions given above using the brands recommended, then the finished drink would be very soft at right around 9 percent ABV (18 proof). This is equivalent to the average glass of wine.